Toyota on the Trail, formerly Sun Toyota Edmonton, is your premier Toyota dealership along Calgary Trail. 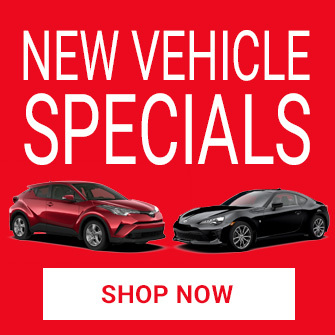 When you’re looking for high-quality new and used Toyota vehicles in Edmonton, our knowledgeable and friendly staff will promptly answer all of your questions, even if you’re not fully committed to buying one just yet. 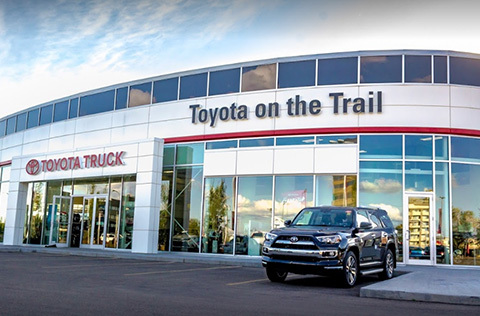 We’ll show you everything our Calgary Trail Toyota dealership has to offer including our service centre, finance department, autobody shop, and more. Our only goal is to completely satisfy all of your automotive needs and we’ll commit to finding you great Toyota vehicles in Edmonton that suits your lifestyle. Even if you’re not in the city, we’ll also service anyone in the surrounding areas including St. Albert, Sherwood Park, Fort Saskatchewan, Leduc, and Beaumont. Because here at Toyota on the Trail, we promise a great purchasing experience every time. If something isn’t right with your ride – and we can’t make it right – we will swap you into a comparable vehicle at no extra charge.